Running more than one business is a big commitment, and choosing to use Kashoo to keep track of all your bookkeeping makes even more sense because you get up to a 30% discount on your additional businesses. You're eligible if you already have one business at regular price. After that you can add as many additional businesses that you need at the discounted rate. 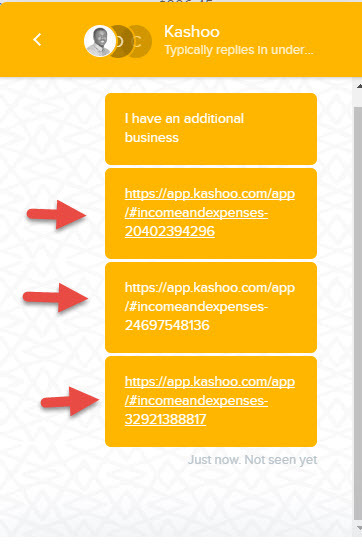 Note: To learn how to add a new business in Kashoo, please click here. Open a chat in the bottom right and write "I have an additional business"
In this example there are 3 businesses. The Customer Success team will review your accounts and get back to you as soon as possible to confirm your eligibility.